The median home value in Santa Fe, NM is $304,800 This is higher than the county median home value of $283,500. The national median home value is $185,800. The average price of homes sold in , is $. Approximately 52.03% of Santa Fe homes are owned, compared to 33.31% rented, while 14.66% are vacant. 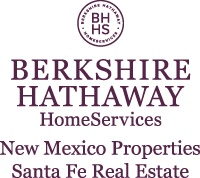 Santa Fe real estate listings include condos, townhomes, and single family homes for sale. . Commercial properties are also available. If you see a property Santa Fe real estate agent to arrange a tour today ! Learn more about Santa Fe. Wonderful eastside location. Rare offering. As of 3-26-19, City has concluded that property is considered historically "non-contributing"!!! A demolition permit is possible!!! Currently a 300 sq. ft one room structure. Utilities are not at the structure. Abutting this property is listing # 201805841. Combine the two for a dream realized east side compound! Beautifully upgraded home in a fabulous location offers tremendous value for buyers. This 3 bedroom/2bath home in Nava Ade has been upgraded to the max! It has new wood-grained contemporary style tile flooring throughout, new carpet in bedrooms, new baseboards throughout. The kitchen appliances are new and in a desirable stainless steel finish. The sellers also added central air conditioning to this home which is a highly valuable for any buyer. The balcony has been refinished allowing a peaceful space to enjoy the beautiful Santa Fe weather. This ideal floorplan offers two bedrooms downstairs with the master separated from the guest beds. Ideally situated in a cul de sac, this home offers a prime location. The backyard is huge-one of the largest in the neighborhood and is fully fenced with coyote fencing. The home also has a one and a half car garage with is very rare and valuable for the neighborhood! Garage has electricity and the backyard is also equipped with electricity if buyers want to add a hot tub. There are no homes behind this home allowing for a nice serene and private setting. This home is just a ten minute walk from Santa Fe Mall with dining, shopping & new luxury Movie Theater. There is also very easy access to Arroyo de Los Chamisos Trail which allows for walking/biking to the center of Santa Fe. Also close to the new Presbyterian Hospital. The Nava Ade community is highly desirable and features a community clubhouse and pool. Premium site in the popular Plaza at Pecos Trail, this single level home sparkles with quality finishes and an open plan design with great ski basin and sunset views. The living room has a fireplace and beamed ceiling and is open to an upscale kitchen with a large, functional granite topped island and stainless steel appliances. Amenities include refrigerated air conditioning, built-in bookcases and cabinetry, pantry, over-sized double car garage, portal/patio and landscaping. On one of the largest lots in the community, there is a large fenced backyard perfect for a loved pet or for the landscaper or gardener. Fabulously convenient southeast location close to a hospital, shopping and historic downtown Santa Fe. A special gated horse property with access to miles of trails in the Santa Fe National Forest, this 4-bedroom 4 bath Craftsman-style home with 2 bedroom 2 bath guest house is located on over 21 acres. The elegantly designed Arts & Crafts front door opens into the brick-laid main floor encompassing a light and open living room. Cooking is a joy in the gourmet kitchen boasting a Lacanche stove with 2 ovens (propane and electric), a Miele built-in espresso machine, and Sub-zero refrigerator. Rich wood cabinets, colorful tile accents, breakfast bar and adjacent dining area make the kitchen a place to gather and a visual delight. Bedrooms and bathrooms are spacious and have such elegant touches as stone countertops, glass or walk-in showers (including steam) and gorgeous custom tiling. The lofts are ideal for offices, studios or reading nooks. The beauty of the nature is echoed in the tree branch themed railings throughout the home including the wrap-around porch and balconies which capture the spectacular vistas. Plenty of space for visitors with a 1st-floor guest room with its own kitchen in addition to a separate guest house. This property is made for horses with features including MD Barn with 4 12x16 stalls, tack room, hay storage, corrals, and turnout area. Extras are a dog run, water garden, and hiking trails on the property. This is a lovely mountain hide-away with easy access to all that Santa Fe has to offer conveniently located only 13 miles from the Plaza. THE SANTA FE RANCH The ultimate in privacy, this is a unique, large land holding only 20 minutes from Santa Fe, offering extensive residential and livestock amenities, enormous 360-degree views and superb riding out possibilities. Steeped in Southwestern History, this 549-acre ranch was originally part of the Buckman Ranch. The principle holding, a unique parcel of land known as The Santa Fe Ranch, encompassing some of the very best, far-reaching mountain views found in the county. Residences comprise a four-bedroom headquarters house, three-bedroom guest house, and three-bedroom caretakerâs residence, offering tremendous flexibility. The land is well-suited for horse-back riding â“ it is spectacular and abuts thousands of acres of BLM land. There is an ornamental koi pond with water feature, and several golf tees and greens. The livestock facilities include a large, metal equipment barn/shop and separate shop, storage building, and animal pens. The property is served by four private wells. This is the estate of Suzanne âœZannieâ Hoyt, who purchased the 31,000-acre Buckman Ranch from the Frank Bond family in 1960. Zannie and her husband ran a cattle operation and subsequently subdivided some of the land to create various subdivisions, including Las Campanas, keeping the best 550-acre âœcrown jewelâ for herself and family. For history buffs, the Chile Line railroad ran through the lower portion of the ranch until 1941, when operations ceased. For those looking for an affordable horse property, with a cozy well-defined house, expansive views, proper stables and rinding areas, and in a great location, this is it! This is a pueblo-style home, with all of the Southwestern features; tall ceilings with vigas, saltillo tile, a kiva fireplace and plaster finishes in the public spaces. The home is bright with natural light, and has a split bedroom floorplan. The owners suite has a private patio, and lovely slate tiles in the bath. The large open kitchen has a breakfast nook, and a covered peaceful patio. The home has radiant heat and an attached 2-car garage. This is a great place for horses, with a 2-horse barn with electric, large hay and equipment storage area, tack room, and a level, 120 x 230 ft riding arena and round pen. Other animals are welcome, with fenced dogs runs, a screened chicken coop. Las Nubes is convenient to Eldorado, with shopping, schools, a library and a senior center. It is a simple ride from the property onto SF Rail Trail and 30 min ride to Galisteo Basin Preserve. Vereda de Encanto â“ âœPath of Charmâ is the entrada to this Santa Fe Pueblo style home situated on a beautifully landscaped lot with Sangre de Cristo views from the fully fenced back yard. This 3 Bedrooms and 1 Â¾ Bath is a gardenerâs paradise with approximately 14 trees offers lots of shade including apricot and pear trees. Blue gramma grass, potting shed, and a Pergola for shade cover on those sunny days. Custom Wood front door crafted by Master Craftsman Roberto Montoya whose work is displayed in St. Francis Cathedral near the Plaza. Upgraded Pella Imprevia windows and sliding glass patio door. Custom painting, saltillo floors in kitchen and dining, hardwood floors in living room and hallway. Kitchen offers Gas stove cooking, dishwasher and refrigerator, central gas heat and cooling. This home is close to amenities including a park, shopping, and the Chavez Center. In a town that has become the epitome of cowboy chic and whose most prosaic structures convey Spanish Pueblo Revival style, 18 Vista Hermosa is a standout. Designed and built by artist/architect, Rob Ritter, this homeâs sleek, rectilinear walls - not readily recognizable but unequivocally adobe - present a minimalist interior that has been likened to an âœurban art museumâ rather than a Southwestern-style retreat in the Tesuque hills. Huge glass walls frame the priceless views of the Jemez Mountains and dramatically convey the edict for simplicity that is expressed consistently and masterfully throughout the home. The grid motif is recurrent in square-cut Indian sandstone floors, square-cut beam and plank ceilings, custom-designed angular corbels, uniform walls burnished with beeswax, cubist nichos, a stepped indoor fountain, cabinets and doors masterfully constructed from Philippine mahogany and African padauk wood. Such artistry reveals a harmony of place that is both serene and refined and sensationally understated despite its rigorous intentionality. A rooftop mezzanine, sweeping patio and rectilinear courtyards, sculptures and fountains open to magnificent vistas in all four directions. This home is not just a house, it is an experience with every detail of construction and design - from skylights to superbly wrought ironwork - crafted with exceptional artistry, integrity and perfect frankness. This lovely recently updated home excludes tranquility and comfort. Located on a quiet cul-de-sac in a central Santa Fe neighborhood the property offers a real indoor-outdoor connection. Enter through a private courtyard with views to the Sangre de Cristo Mountains. The open floor plan features several living spaces including a cozy den with kiva fireplace just off the kitchen. There are 2 sets of French doors that take you to the rear patio which has a dining area, expansive deck and plenty of room for gardening. There are multiple mature fruit trees including apricot, apple and plum. The master bedroom is oversized with a walk in closet and comfortable private bathroom. The house is single level and has an attached 2 car garage with plenty of storage. Come and Enjoy! Lovely 3 bedroom 2 bath single level home. Fabulous backyard with marvelous landscaping, portal/grape arbor and automatic irrigation system. Garage has been converted into a studio/workshop for the artist in you. Great midtown location close to shopping and restaurants. Recent updates include chimney cleaning/maintenance, roof maintenance and fresh exterior trim paint.This is a must see. Let the sun shine in! First time this very charming one-owner passive solar designed home has been on the market. Featuring an open floor plan with high tongue & groove ceilings and a clerestory window in the main living area that allows for abundant natural light. The master en suite with private bath has a separate tub and shower and walk-in closet and is nicely separated from the guest rooms. The kitchen includes a full appliance package, an island with a breakfast bar and a pantry. The laundry/mud room with sink is a great place to hang coats and keys when entering from the garage. Patio doors provide easy access to the courtyard to enjoy the flagstone patio shaded by mature trees. The very manageable yard includes ample space for a garden or pet. This Energy Star constructed home is in a popular south side neighborhood with miles of walking trails, a public library and the new 90 acre SWAN park. Shopping, dining and entertainment venues are just minutes away along with quick access to I-25 for ABQ & Hwy 599 for the Los Alamos commuter. This home conveys with a one year AHS home warranty. The home qualifies for ZeroPlus Mortgage which includes zero lender fees, zero origination and $1000 buyer credit at closing for qualified borrowers.This is a lovely home in a great location, don't hesitate to see this one right away. A beautifully appointed gracious home situated in the rolling hills of Turquoise Trails in Santa Fe, a lovely quiet place to rest your heart and soul. The Main house has a gracious entry portal with views of the Santa Fe basin and over 3000 sqft of living area. The kitchen is the heart of the home with top of the line appliances. There are Coved ceilings in the Living room and bedroom. The master bath is lavishly appointed and includes a hot water warming towel rack. The windows throughout the home offer huge sweeping views of the surrounding foothills and mountains. This one of a kind property has a 650 sqft Theater which seats 10 with a whimsical box office. It features a beautiful wood ceiling treatment and Stars that will leave you in awe! The beautiful built in bar in the theater includes an icemaker and refrigerator. The 2 story studio/guesthouse/RV Storage has unlimited potential, just use your imagination! It could be an artist studio or you could make it a recording studio, really itâs just up to your imagination. It includes living area, kitchen, office and bathroom. The upstairs living area overlooks the 16âx48â studio which includes 50 amp power and a 14â electric roll up door. A rooftop observation deck offers 360 degree views & down below the wraparound portal offers breathtaking views. The hot tub and Sauna overlooks the property and there is RV parking with 50 amp service, over $2 million invested. If you are looking for a wonderful home with privacy and views sited on +/- .50 of an acre on a cul de sac in the city limits with all city utilities, this is an amazing find. Perfect location close to amenities located in the Arroyo Chamiso neighborhood next to Devargas Heights. This 1702 +/- sqft 2 story home has 4 bedrooms, 3 bathrooms and a 2 car garage. The 4th room/bedroom with a Â¾ bath has a separate entrance and would be make a great art studio, playroom, office etcâ¦ The other bedrooms are upstairs including the master with en-suite bath with tile floors and tile tub enclosure. All upstairs bedrooms have walk in closest and ceiling fans. Galley kitchen with tile counters opens up to the dining area and living room with a grand kiva fireplace. Amenities include: Brick/Saltillo/Carpet flooring-NEWER stucco-NEW roof in 2014-Rear deck-NEWER windows-NEW Water heater 2018-Refinished Saltillo and Brick floors and more. Location, Location, Location!! This charming Historic Eastside adobe sits proudly on Santa Fe's world renowned Canyon Road near restaurants, galleries, Patrick Smith park and more. You'll feel the preserved historic flavor immediately upon entering. It has been meticulously upgraded and cared for with high viga ceilings, brick, tile and wood flooring, kiva fireplaces and a gorgeous yard and garden area with fruit trees and evergreens creating serene privacy. There is a cobblestone driveway with 2-car designated parking. Zoned RAC. Electricity is supplied by solar photovoltaic with public backup. This is truly a must see property. John Gaw Meemâs Sunny Slope House, CASA de CUESTA ASOLEADA, on 2.58 acres w/ beautiful views is a rare opportunity to experience fully updated Pueblo Revival architecture. Courtyard w/ fabulous portal takes advantage of southern exposure & has views of Sun & Moon Mts. Originally designed & built for Ed Tatum in 1939 by Meem, faithfully restored & sensitively updated in 2014 by Doug McDowell, this historic home includes archive of original plans, sketches, invoices, & letters between Meem & Tatum. True SF style & tradition, from reproductions of original tin fixtures to rebuilding original fireplace design discovered in archives. Adobe walls made w/ mud bricks created by hand onsite, doors reproduced by local craftsmen from original drawings, interior & exterior hardware salvaged & restored. Unassuming appeal, complete privacy, 2 legal lots on Tatum Lane off Old SF Trail just moments from the Plaza. Master bedroom w/ fireplace, luxurious bath, private portal & courtyard. 2nd bedroom adjoins seating area w/ fireplace & portal. Cozy functional kitchen has portal with great Jemez Mt. views. Lots of natural light enters through beautiful divided-light windows. Office/den w/ fireplace & access to portal. Solar electric array. Courtyard w/ antique millstone water fountain & gas fire pit has full kitchen w/ gas BBQ, wood/charcoal grill, range, oven, refrigerator & dishwasher. Plans for guest house & home on 2nd lot. Amazing historic provenance in great comfort create a perfect oasis! Unique opportunity to own a very special property designed by Santa Fe Opera architect John McHugh and built by iconic road building contractor Jimmy Johnson, just minutes from the Santa Fe Plaza. Located off Bishopâs Lodge Road, with gorgeous mountain views, this grand and spacious 3 bedroom 3.5 bath home showcases wonderful historic features: antique door handles, hand-carved mantels, wrought iron doors, rich wood details, and beams and bricks from the old military chapel La Castrense. Enter through a gracefully curved walled courtyard and into a generous living room with a 24â beamed and latticed ceiling, intricately tiled floors and a balcony library with built-in bookcases and sunroom. A separate den includes light pine floors, an undulating coved ceiling, and an impressive stone fireplace. With views to the outside gardens, the eat-in kitchen is filled with light in early morning and again at dusk. Master and guest bedrooms are on the main level and a separate downstairs suite with kitchen, living room, bedroom and bath is perfectly private for guests. A bonus studio, media room, or additional living space of approximately 3,000 heated square feet adds extra living area. Wrap around ivy-draped portals provide exceptional 360-degree views and delightful alfresco entertaining. This wonderful country estate, graced with ancient petroglyphs and with mature gardens and orchards irrigated by a private well, offers a timeless, secluded oasis to enjoy. This exceptional, top floor, 2-bedroom end unit in The Reserve is beautifully upgraded and offers effortless living centrally located for commuter routes and park-and-ride access, in one of Santa Fe's best managed properties. Phenomenal NE views of the Sangres, sleek fixtures, tile kitchen counters, stainless appliances, rustic cabinetry and designer wall color completes this sweet, light-filled condominium. Added bonus? A superior location in the complex close to the clubhouse amenities. The Reserve offers exceptional facilities, common buildings, community room, pool and laundry. Fantastic community and ambiance for anyone looking for an easy to care for residence or second home, or for investors seeking one of these highly desirable units for rental. Perfect opportunity on the desirable north side. WHY NOT? At this price, whether you want an investment, primary residence or second home this property has lots to offer. Come see these two single family homes behind Tesuque Market! The largest property is two bedroom and one bath room (1445 sq. ft.) with two parking spaces and the second property is one bedroom/one bath (890 sq. ft.) (Buyer to verify square footage) and this property has an orchard (Pear, peach, apple and grape vines) with it on a .52 of an acre lot. Walk to The Market or El Nido and lots of places to walk your dogs in the area. Property is easy to get anywhere - located off Hwy 285 - minutes to downtown. OPTIONS! Property is being sold in AS IS Condition. This beautiful home in Las Lagunitas is one-of-a-kind, offering gracious country living just minutes from the center of Santa Fe. The serene setting overlooking the community lake is the perfect place to enjoy the outdoors with great birdwatching, catch and release fishing, and access to walking trails. The 1.26 acre lot features large trees, extensive landscaping and natural surroundings. Gorgeous home with a warm and inviting, open living room (with a charming kiva) and kitchen is perfect for entertaining. It features a very large master suite and spa-like bath with nice separation from the other bedrooms. Over-sized garage provides plenty of storage. Great location with easy access, yet a rural feel. This 3 bedroom, 2 bath stunning home with detached guest house near the famed Canyon Road offers unique views of nature and is located in the highly sought after downtown Santa Fe, just minutes away from the Santa Fe Plaza. This warm, wood-accented sanctuary is on the market for the first time. This home offers split level comfortable living areas, separate bedroom on the main floor and two lower-level bedrooms including a separate guest house (currently under renovation). You'll enjoy versatile options for entertaining, hosting guests or setting up a home office or art studio. Home has brick living room floors, viga ceilings, and precious textural stone and tile accents. Home interior is dated but is waiting for that exceptional homeowner to come in, with his/her unique vision and style to renovate. Exterior large lot has ample room for parking or RV parking and convenient electric hookup. Hand selected stones from the nearby mountains of Pecos accentuate the meticulously crafted two beautiful waterfalls with ponds that compliment the exterior landscape. The entire lot is also completely enclosed with a custom-built masonry wall ideal for pets to run around (bring your high energy dogs!). Detailed art touches throughout both the interior and exterior of this unique home. Pueblo style two story home with Lots of square footage. This 3 bedroom 4 bathroom home in quiet neighborhood makes for the perfect home. The Zamara is a spacious and elegant design. The front courtyard, open layout of the kitchen, living room, and dining room are the centerpiece of the Zamara's flexible and expansive plan. The living room and dining room are filled with natural light from the windows and patio doors leading to the full length patio. The plan offers the flexibility of two master bedrooms: one on the first floor and the other on the second. These units are well equipped standard with granite slab counters, stainless steel appliances, two fireplaces, smart home features. These units stand high and therefore have nice views. Your perfect home awaits, in an end of the road setting, bordering open space with direct access to miles of trails with mountain views in all directions. Truly one of the most desired locations in all of Rancho Viejo! This 3,080 square foot Cielo Grande Model features 5 bedrooms and 3 full baths, refrigerated air, vigas, plaster finished wood burning kiva fireplace, a large kitchen/nook and great room, plus formal living and dining rooms. The master suite features a luxurious bath with an incredible closet, and opens directly to the covered patio; wake up to stunning mountain views every morning. Well separated from the master, three additional bedrooms rest along the back of the home, each with mountain views. The fifth bedroom features an en-suite bath, perfect guest/in-law suite or studio/home office. The outdoor spaces with mature landscaping and walled rear yard complete the picture.